For about twenty years, I purchased in Russia from the Moscow student Lena Pankratova a magnificent jigsaw puzzle game that she had created to be able to pay and complete her studies. I never ever play computer games, but thought this was so superbly created, that I could not resist its temptation. It really is by far the greatest and best created digital jigsaw puzzle game in the world ! Because I wanted all her available jigsaws at that time ( only with a limited small amount of jigsaws the program is free ) I transferred the amount due to her bank account in Moscow and she forwarded me simultaneously the program by mail. Additionally with a small tool to transfer any photo or image in a new jigsaw puzzle. This beautiful jigsaw puzzle game will bring you a lot of fun during many long winter evenings. Just with so many different features, that it takes too long to explain everything here. Find out for yourself ! 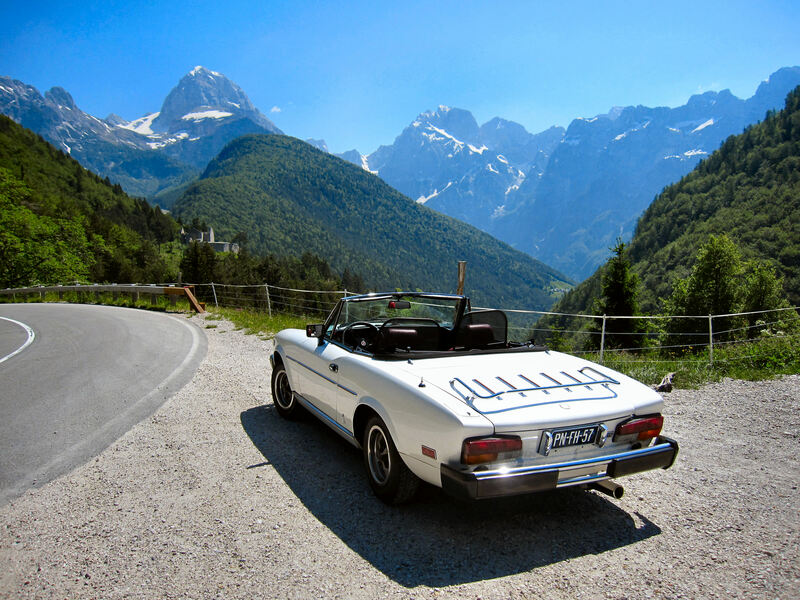 The Fiat 124 Spider- and Kids-jigsaws puzzles are zipped in two separate files that should be unzipped and moved or copied straight into the program directory, leaving the 8 Spider-jigsaw files in a new ' Fiat124Spider ' directory and the Kids-jigsaws in a new directory ' Kids '. To be able to open the Spider- and Kids jigsaw puzzles, enter the login name and password that you find in the text file which is also enclosed. For your kids you will be able to make a jigsaw in 24 ( or less, depending on their age ) large pieces that can be handled easily. The amount of pieces can be increased to a maximum of more than 1100 pieces selecting from a number of different piece-shapes, well ordered or randomly mixed and ( to make it even much more complex ) the option of rotation of all the pieces. The choice is completely yours ! Image examples of these 8 Spider jigsaw puzzles can be viewed here . The most attractive option is the possibility to save your jigsaw work after i.e. 5 minutes or half an hour fiddling and continue your partly made puzzle one hour, one day or a week later. It may be well understood, that you will have to save your jigsaw every time as soon as you close and leave the program. 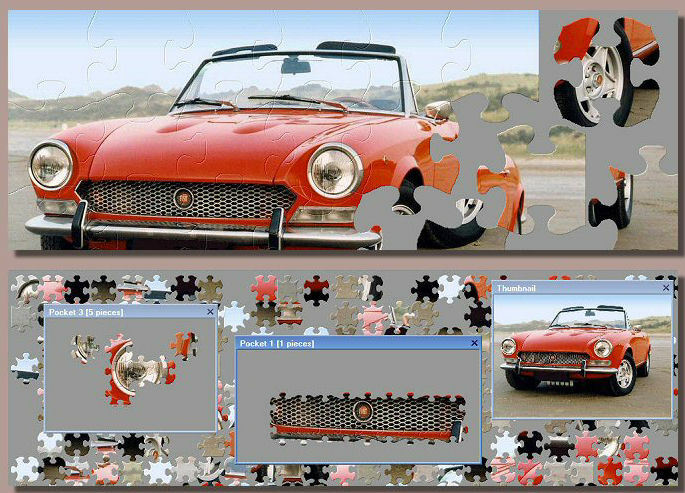 In case you would like to have transformed pictures of your own 124 Spider (or any other personal picture, photograph or image ) purchase the program at Lena Pankratova's website to register the BIGJIG Jigsaw Puzzle game on your own name and get an additional tool to change all your personal images into fascinating new jigsaw puzzles. Sure, you are not the only jigsaw puzzle addict....... enjoy this wonderful winter game !